Something had pulled her in this direction, maybe for years. Something that she hadn’t listened to on a conscious level, but still somehow had followed. Like a yearning from the underground. A call from within. A long time ago, people were sacrificed out there. And there’s always been talk about how people vanish without a trace around Mossmarken. Although this is not a horror story in the true sense of that genre, the underlying tone of the story is dark and definitely includes paranormal phenomena from beginning to end. That’s the part I liked. I wish I could say that I enjoyed the rest of it as much as I anticipated a truly creepy resolution. But neither of those things panned out for me with The Forbidden Place. The paranormal nuances were tossed off as kookery and the human antagonists just weren’t as interesting as they were set up to be. It is not a bad book. The story flows and the characters develop along lines that make sense for each of them. The setting is atmospheric (I learned more about a bog than I really ever really wanted to know) and the ultimate resolution isn’t a dead giveaway (no pun intended). Three stars for a book that is good, but lacking just a little bit of spark that would have made it really good. SUSANNE JANSSON was born in 1972 in Åmål, Sweden. She later moved to Gothenburg to work in advertising and then to New York to study photography. After returning to Sweden, she worked as a freelance photographer while studying journalism, and for the past twenty years she has been combining her work as a photographer with being a freelance journalist focusing on reportage and profile stories in areas such as culture, film, theatre and literature. She has also written crime short stories for weekly magazines. 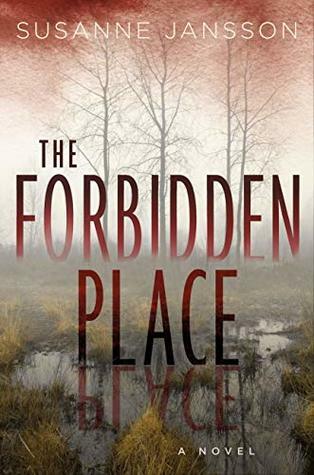 The Forbidden Place is her debut novel. Jansson lives with her family in Lerum outside Gothenburg.